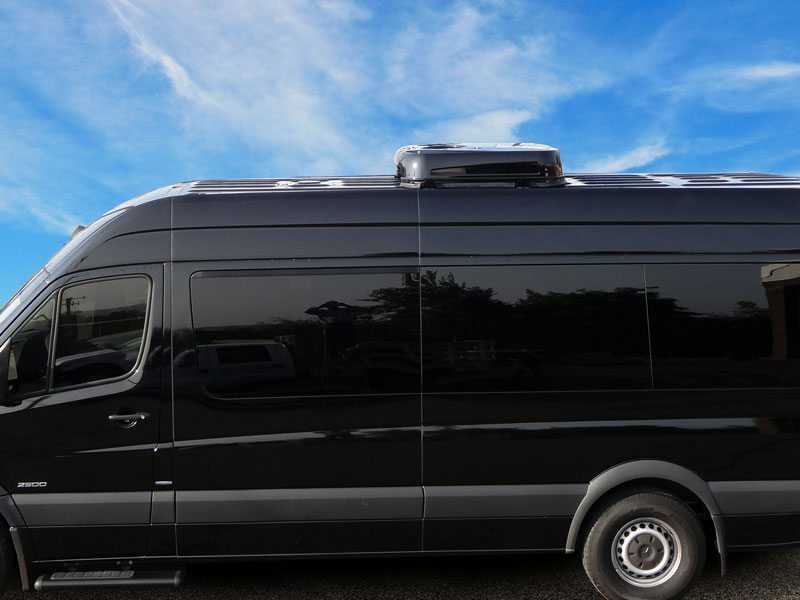 The EcoFlex is our new minibus A/C. 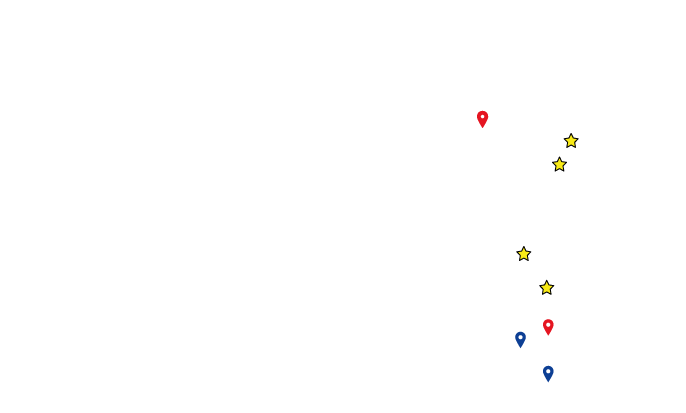 With improved performance, low weight and many smart solutions, it is the easy choice if you’re looking for reliable A/C for your vehicle. Electric fully automatic modular climate control system with a full range of options. EcoFlex is our brand new driver A/C family. 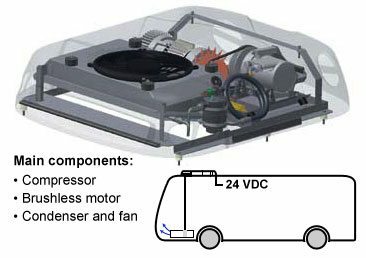 The self-contained unit (EcoFlex 4E) consists of all components including scroll compressor and brushless motor drive. You can also choose a model with just a condenser and compressor for a split system (EcoFlex 4ES). 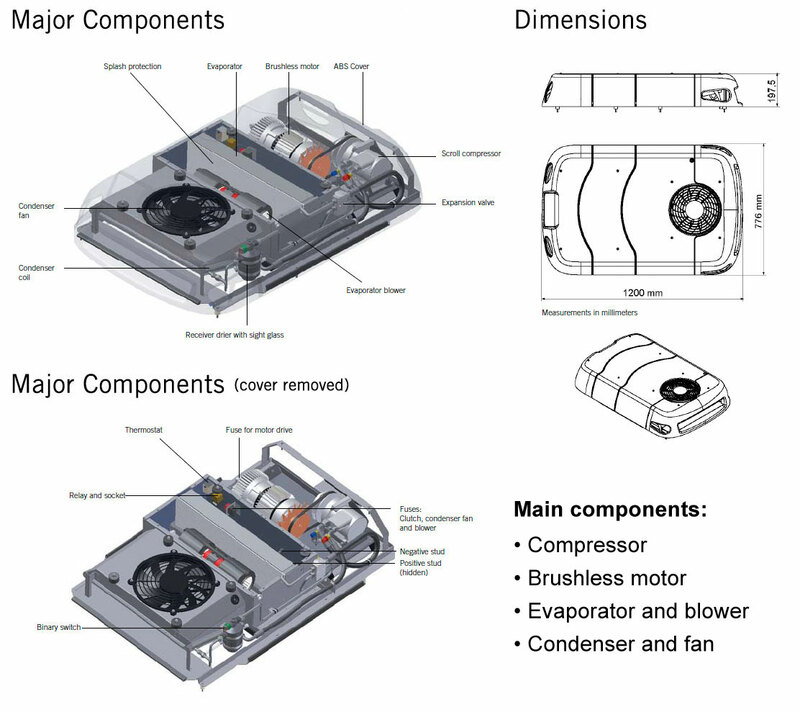 A third model (EcoFlex 6) is available which includes all components except the compressor. 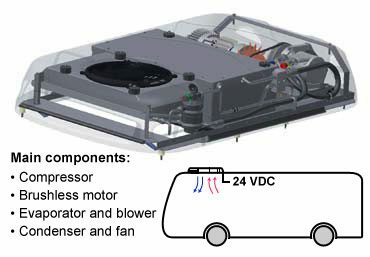 This model can be used as a passenger A/C for minibuses. All models are manufactured with extensive use of aluminum components and ABS covers, in order to keep the weight to a minimum. 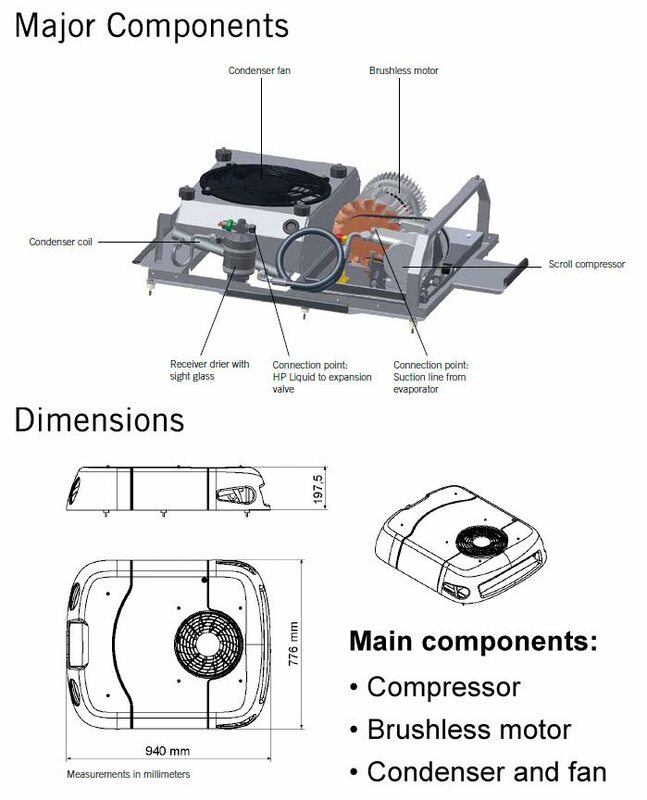 The cooling systems have been optimized to provide the maximum cooling performance with a minimal refrigerant charge. The unit is of course protected by an attractive cover. This is the 24V DC complete, factory-charged driver AC. Just install and connect to the electrical system and it is ready to deliver cold air. Comes with all components including reliable brushless motor drive, scroll compressor, evaporator, condenser and fans. 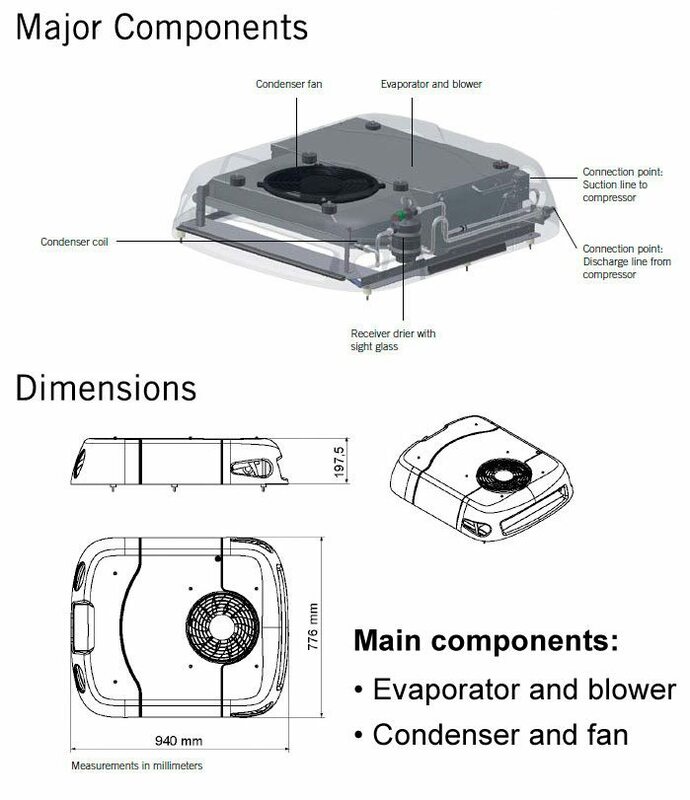 Can be used together with the optional air distributor module (see optional air distributor below). Mainly used as a driver A/C for city buses and truck cabs, etc. 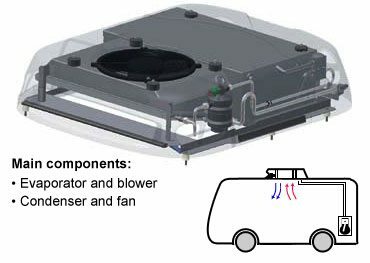 This is the model to choose if you want to integrate the evaporator in the defroster. The EcoFlex 4ES includes reliable brushless motor drive and scroll compressor, condenser and condenser fan. This model is the non-electric EcoFlex, ready to connect to the bus compressor. Including evaporator, condenser, fans, and all necessary components. Can be used together with the air distributor module (see optional air distributor below). 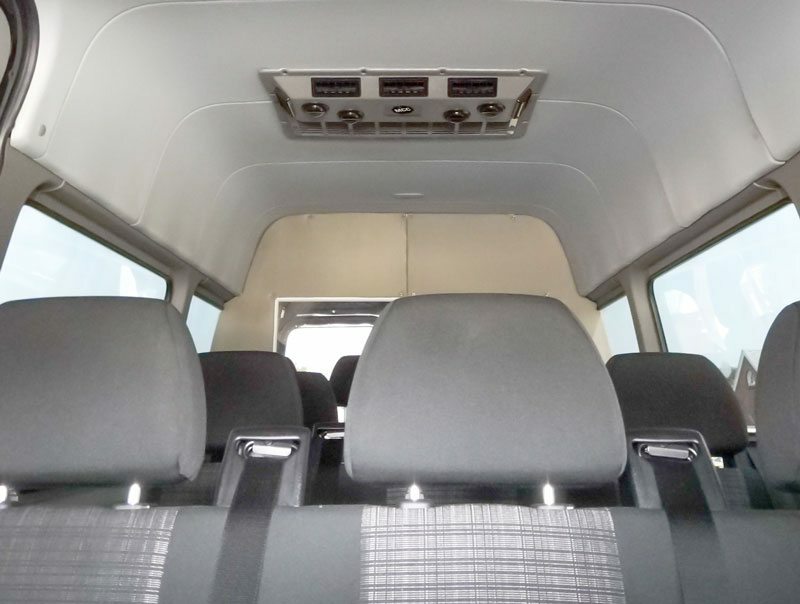 Mainly used as passenger A/C in minibuses, special vehicles, etc. 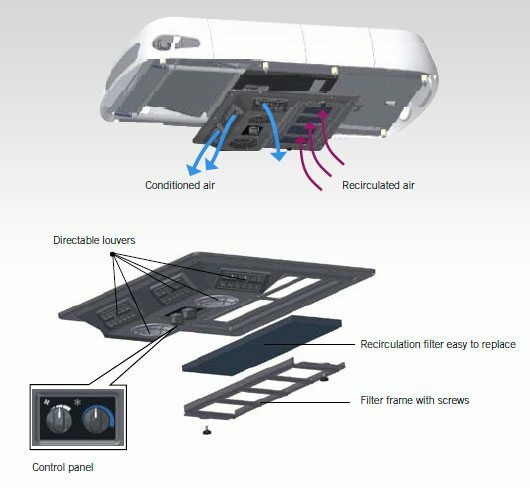 To complete your purchase, the EcoFlex 4E and EcoFlex 6 can be combined with the air distributor panel, mounted in the bus ceiling, consisting of recirculation inlets, recirculation filter, and practical directable louvers. As an option an integrated control panel is also available. Application Driver AC (city buses) Driver AC (city buses) Minibuses, special veh. etc.